Ernest Cline’s 2011 novel, Ready Player One, tells the story of Wade Watts, a teenage boy living in 2045 Columbus, Ohio after our planet has succumbed to global warming and widespread poverty. People worldwide escape these harsh circumstances by logging into the OASIS – a virtual reality with infinite worlds and opportunities. Wade has studied everything related to the OASIS and its creator, James Halliday, whose nostalgia for his childhood infuses the OASIS with 20th-century pop culture. Upon Halliday’s death, it is announced that he has left his entire fortune within the OASIS in the form of an Easter Egg and challenges all of its users to find it with only a few riddles to guide them. This quest becomes a global competition that proves to be extremely challenging and, after a few years of no luck in solving the first riddle, Wade finally cracks it and unleashes a race for the Easter Egg. With dangerous rivals also vying to win the competition, Wade has no choice but to find Halliday’s fortune or risk losing the OASIS forever. 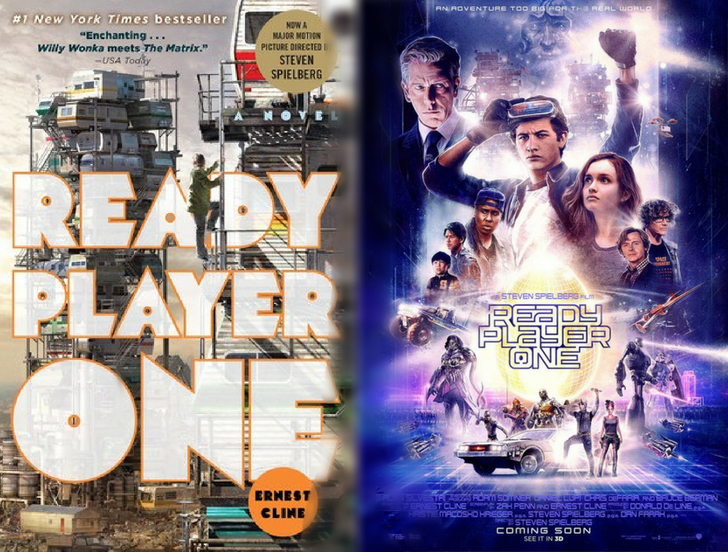 The film adaptation of Ready Player One, produced and directed by Steven Spielberg, goes by the same name as the novel and was released worldwide in March of this year. Fans of Cline’s novel were anticipating the film for a while and I really wanted to be part of the excitement. When I saw that this book arrived at the bookstore I work at, I knew I wanted to binge-read it in time for the movie – and I did. I flew through the novel in no time and was captivated by the nostalgic tone and nerdy culture that infused the story. Being a ’90s kid, I don’t have much knowledge of the older video games, music, TV shows, and, sometimes, movies that Cline referenced. However, this did not stop me from enjoying the book. It became one of my favourites of the year so far and I don’t think that’s going to change any time soon! I had quite a few concerns about reading Ready Player One because I knew that its main selling point is how it creates a futuristic adventure story inspired by the pop culture of decades past. Considering that I was only born after the 1980s, I worried that most of the pop culture references would go way over my head and so I wouldn’t enjoy the novel as a result of that. I was also concerned that, because of this, the entire world of the OASIS would feel dated and inaccessible to me. Considering that the world of the OASIS and 20th-century pop culture are so important to the story I was quite apprehensive going into the novel since it was clear that I probably wasn’t the target audience. However, these worries completely flew out the window early on in the novel. The OASIS is just like any other fictional world like Middle Earth, Scadriel, or the Discworld, transporting you from reality to a fantastical place where adventure awaits. Cline’s modern take on creating a fictional world using familiar technology, such as virtual reality and the internet, presents a fresh take on world-building and something I have never read before. The world provides a vast playground filled to the brim with different worlds, challenges, games, and more to explore, ma. The OASIS avatars and the anonymity of their users add an extra layer of something we experience daily in online culture since the user can be whoever they wish and create an online version of themselves that does not truly represent who they are. The world is mystifying and relevant to our technological age, making it the complete opposite of what I initially expected it to be! As far as the pop culture references are concerned, it did not hinder my enjoyment of the book one bit when I didn’t understand the video games, TV shows, and more that Cline incorporates into the story. Whilst there were moments where I recognised some of the songs or movies mentioned, it didn’t matter that I didn’t know what, say, BurgerTime or UltraMan was because reading about these, as well as others, made me feel nostalgic for my own childhood. I could connect with the characters’ longing for the past and James Halliday’s joyous memories of his childhood. 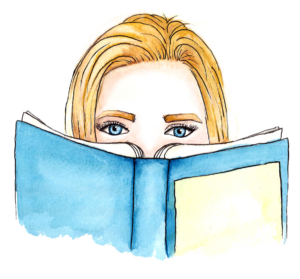 We can all relate to that nostalgic feeling for our childhood in one form or another and so it didn’t matter if I couldn’t understand certain parts of the novel. What I could understand and relate to was a feeling, not a TV show or video game. This is where Ready Player One truly won me over. When envisioning how Ready Player One would play out on the big screen, I was certain of a few things that Spielberg would keep in his adaptation of the story. First, I expected the film to incorporate more well-known 1980’s pop culture references than the many obscure ones that Cline references in his novel. Donkey Kong instead of Robotron and Bladerunner in the place of Ewoks, that sort of thing. By using more mainstream pop culture, the film would surely draw in a bigger audience and appeal to people of all ages. I also thought that the various clues and missions in the competition would be different in the film adaptation since many of these moments are quite slow in the book or happen in Wade’s head, neither of which would translate to screen very well. The story overall is quite fast-paced but a lot of time is spent trying to solve the clues and complete each mission. Whilst this does build anticipation for what’s to happen next, it wouldn’t be as effective in a film. In addition to this, I imagined that the competition would remain just as complex even if it was more rushed in the film adaptation. Part of what makes the competition interesting is how difficult it is to win! So I expected Spielberg to keep this element. There’s no denying that the film adaptation of Ready Player One feels like a completely different story to the novel. The film is lacklustre in its content and the style is simultaneously futuristic and outdated in the way the OASIS is represented. Whilst the novel embodies the OASIS as modern and vibrant, the film represents it as a tacky computer game. The real world is as dystopian and dilapidated as the one in the novel and yet the OASIS, whilst clearly embodying the nostalgic style that it is known for, does not feel as awe-inspiring as Cline sells it as. In addition to this, the film dumbs down Halliday’s competition, the main focus of the novel’s story. Each level of the game goes from complex and intriguing in the novel to mediocre and straightforward in the film. There are also not as many stages to the competition in the film as there are in the book, making the story feel somewhat rushed and not as layered. The idea of Halliday’s Journals as an archive of the OASIS founder’s life, interests, and hobbies is an interesting idea yet it also took away a lot of the passion that characters like Wade feel for Halliday and his competition. What makes Halliday an almost mystical figure in the eyes of his “fans” is that he is mysterious and difficult to decipher. But the film makes it easy to access everything about him, preventing the characters from developing a personal connection to Halliday by discovering him for themselves. Other than these issues, I did actually enjoy the film quite a bit. 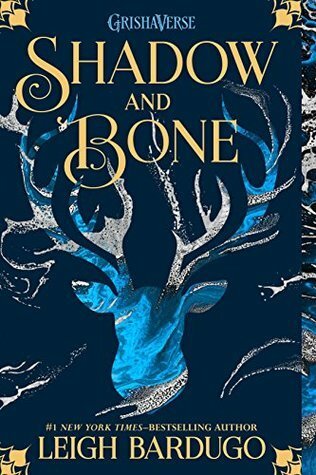 It was fun and fast-paced and, despite the changes made to those elements I loved most in the novel, I thought it was quite a good adaptation. I was right in expecting the film to make use of more well-known pop culture of decades past and that the clues would be solved much faster but I liked these changes because the references were more familiar to me and not too much time was spent on solving the clues. What I did not expect was for these clues to be so different to what they were in the book and for there to be fewer of them but, in hindsight, this makes a lot more sense for the film adaptation. The competition was also not as complex as I hoped it would be, which was a bit of a let-down, but it still embodied that fun and adventure that Cline creates in his book. When it comes right down to it, I enjoyed the book far more than I did the film, which I found quite strange since I couldn’t fully relate to all of the nerdy nostalgia that infused the novel. However, I think it was this very yearning for the past and appreciation for what makes childhood so magical is exactly what the book got right and where the film missed the mark. The adaptation took away the joy at the very heart of the story and its message and replaced them with over-the-top action scenes and CGI. Whilst the film is enjoyable on its own, I think it slightly missed the point of Ernest Cline’s story – that escaping from the real world means missing out on the things that truly matter. The book holds the story that you can curl up with at night and go on an adventure, whilst the film is simply a fun action movie. My feelings for Ready Player One are clearly quite ambivalent, but I do think that the film adaptation is a success overall. It communicates the story well on the big screen and adapts it for a much broader audience in such a way that any viewer can relate to it. Some of the changes made in the film were a shame and took away a lot of what made the novel intriguing yet I still enjoyed it on its own (despite the cringe-worthy super-CGI OASIS).